Food should be enjoyable, food should be nourishing both for the body and the soul, food is a social thing, it can be art, it can be science. Good food can be quick or slow, simple or fancy, cheap or pricey. Any one can have good food that nourishes them, that contributes to health. Food is necessary for life and it can be such a wonderful contribution to quality of life in many ways. But sometimes life gets in the way!! We work long hours, we have to stretch money across too much and food choices suffer, kids are picky, our confidence in the kitchen isn’t great, food is marketed to us constantly, our body image, fears that some foods will harm us, the conflicting messages in the media on what is good and what is bad, restrictive diets, we get ill or someone close to us does etc. Add to this our knowledge of the effect of food on the environment and the ethics of food, choosing well can seem impossible. The ‘wellness’ industry has often done more harm than good. Highjacking healthy messages, altering them to suit an agenda or a personal opinion or simply making them appear less accessible – that they are only achievable with time and/or money. Making it something for those with cash to buy ‘superfoods’, kilos of avocados, coconut sugar and quinoa, not to mention the agave syrup and the almond milk. For those with a farmers market just down the road. It makes it seem to many impossible to eat in a way that is healthy and ethical. Throwing words like ‘clean’, ‘real’ or ‘natural’ and, although used with good intentions, can give the impression that some foods are bad or dirty or unnatural. Many of their blogs are very aspirational. Very often bloggers have no formal nutrition training but imply that they are experts. They often make eating well something that requires hours of cooking, shopping and prepping (whilst also holding down a pretty full on training schedule and maybe a job). Implying that their appearance and slimness is down to this perfect regime they have. They tell us it is easy. But we can’t even think about putting it into practice. In other words – impossible to us mere mortals – so why even try? That is doing a disservice to eating well. So, now that we have got through January, the diets and the being virtuous to make up for the guilt of the festive season, let’s do a bit of debunking and making eating well a bit more real (to reclaim a word) and achievable. ‘Superfoods’ are just healthy foods with good PR – they are great foods to have as part of your diet, if you like them and can afford them. I would describe the whole array of fruits and vegetables along with pulses as ‘super’ – they are full of micronutrients and fibre, tend to be less energy dense and most of us would benefit eating more of them – be they carrots or kale, apples or pomegranate. If you don’t eat very many different kinds of veg or fruit, get yourself trying some new ones – give some you think you don’t like a chance or some that look a bit strange. Find a recipe and give them a go. Sugar is not something to fear. Yes, it is something that an awful lot of us would benefit from eating less of. There is a lot of sugar in foods where you wouldn’t expect it or in surprisingly high amounts where we do expect some. Keeping sugar consumption around mealtimes generally limits the damage of sugar on the teeth – lots of kids teeth have to be pulled out due to consuming sugary drinks and sweets throughout the day. 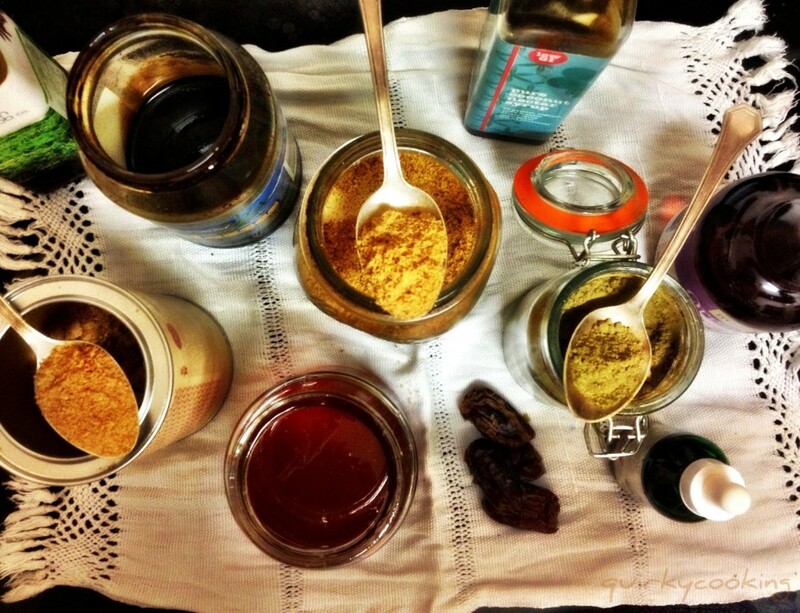 Coconut sugar, brown sugar, agave syrup, honey etc are all sugar, white sugar is natural whatever anyone tells you. Brown sugar may be better for the environment as it requires less processing. It also has more taste than just sweetness. But any extra nutrients are minimal. Sugar doesn’t feed cancer cells. Carbohydrates and sugar can be really helpful in cancer patients to maintain their bodyweight through treatment. Avoiding sugar and carbohydrates can be a really bad thing if patients lose too much weight – see the UHL Dietitians on Twitter. Food fear is not healthy, whether it is sugar, gluten, dairy, cake, processed food, calories etc. If you eat a wide variety of foods, cooked in lots of different ways, follow your hunger and satiety cues (which isn’t always easy) then it maximises the good in different food groups and limits negative effects associated with any particular food. Relax – your body can cope with all these things unless you have a particular intolerance or allergy. If suspect you have a problem with a food see your GP as it could be a medical issue. A diary can be really helpful. Look for patterns, it might be something else entirely rather than the food you suspect. Don’t just record the food and symptoms, note whether it was a busy day – were you grabbing food on the go, did you sit down to eat at your own pace….lots of things aside from the actual foods can affect your stomach. The diary can be really helpful to appropriately qualified professional to help work out what the problem is. Gluten is not evil. Some people can’t eat it at all, some people are sensitive to it, others think it is responsible for gastro symptoms like bloating but unless you have a real allergy or sensitivity, you may be cutting it out unnecessarily. Listen to your body, if some breads upset your stomach then try different ones – it is probably not necessary to cut out all gluten or all breads. A gluten free diet has been shown to be more expensive and lower in fibre and other nutrients so should only really be carried out when needed for medical reasons. Vegan diets are restrictive diets. If you wish to be vegan then make sure you are eating a broad range of foods to make up for the nutrients that are hard to get without any animal products. The Vegan Society has some good advice and loads of recipes. If you can’t bring yourself to eat tofu, seitan, loads of beans, nuts and seeds, don’t like milk alternatives fortified with calcium and iodine then maybe think again. 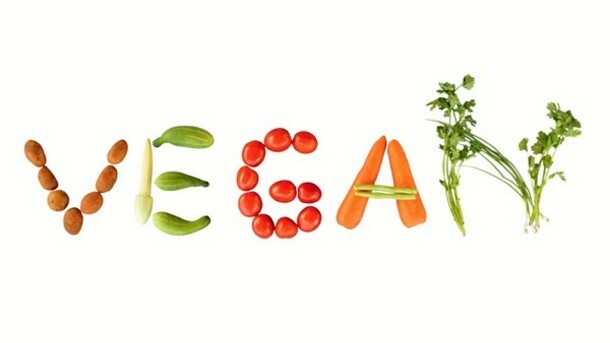 You can still address some of the reasons that convinced you to become vegan by having a mainly plant based diet supplemented with a little well sourced animal products. You will be healthier. Organic is significantly more expensive so if you can’t afford it don’t feel guilty. If you want to do things for the environment through your food choices then there are other cheaper ways to do that. Reducing your food waste will help the environment (and save money), buying food with the least amount of packaging as possible or at least easily recyclable packaging, fish with the Marine Stewardship Council logo, buying locally produced food if you can……so if organic is out of your budget you can still do positive things. And your health is not going to be adversely affected by not eating organic. Organic is not necessarily healthier, more ethical or better for the environment when you look at all the variables. There are other schemes that have benefits on animal welfare and are responsibly produced. An organic ready meal could be as high in salt, fat and sugar than a like for like non-organic product and may have less vegetables or meat in to keep the cost down. If you reduce the variety of the foods you eat in order to have all organic you could be making your diet less healthy. I am not anti organic food, but it doesn’t have to be to be an all or nothing decision. Your liver and your kidneys ‘detox’ you. If they didn’t you would be seriously ill. Detox is used so often to sell us foods, diets, teas etc. 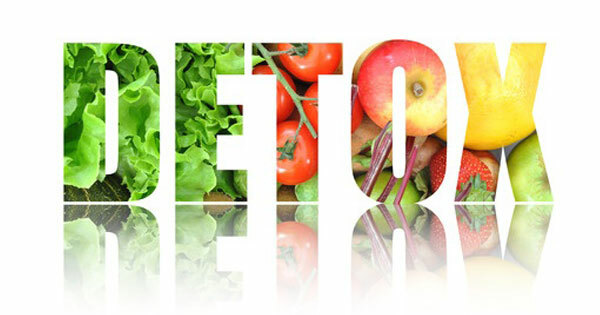 They don’t detox you, they may taste nice, they may be healthy products but they may have a premium on them because of the word Detox on the label. Similarly, your body is pretty good at keeping itself at the right pH without the need for an Alkali diet. And don’t get me started on the Keto-diet! And so on to diets…. Diets that promise the world, be that with regard to health, thinness, recovery from illness, beauty, the perfect body etc, are generally not going to give you the thing you want. If it sounds too good to be true then it probably is. Often, if you don’t get the desired result, you feel like you have failed. In reality, the diet is not right for you. Diet is personal, we are all different. On the other hand, the same, pretty consistent health messages (that us boring health professionals repeat over and over) are beneficial to pretty much everyone. More fruits and veg, more pulses, more wholegrains, less sugar, less fat and better mixture of different types of fats, less processed meats, more fish, less salt. The Mediterranean style eating comes out well with regards to health outcomes. Interestingly, the places where people live a long time that eat a food consistent with the Mediterranean diet also have lower stress, more physical activity and stronger community support – so it is important to consider other parts of our lifestyle if we want to be healthy and well. As for weight loss, maintaining a stable weight is a great thing and if you are overweight or obese then there will be tangible health benefits of losing a bit. But weight loss only improves our health if it stays off. Gradual weight loss with long term changes to make your day to day diet better is going to be more sustainable and give you more health benefits than losing lots of weight quickly. A smaller amount of weight lost and kept off in the long term is better than losing loads which is back on (with maybe more) within a year or two. It is easy to develop a weight loss diet. Reduce the calories in so they are less than the out and, provided the diet is something that you can stick to for long enough to see the results, weight will be lost. Different people will find different diets easier or harder. Very often diets that can give us rapid weight loss are also low on nutrients that we shouldn’t be depriving ourselves of (and nutrients in supplements are just not as good as getting them from foods). Many weight loss diets out there just aren’t balanced and healthy. Just focusing on the calories, the kgs and the body shape you desire and forgetting about the quality and diversity of your food, if you ignore the enjoyment, the eating with others and forget about the health messages that are important whatever shape and size you are, then the weight loss will not bring the health benefits, the weight stability, the self confidence that we expect from being thinner. This is not an exhaustive list of little things – there are plenty of other little things that have a positive effect on our health. Find the little things and keep doing them as much as you can. Previous Post It may not look great but so delicious! !